Carriers have had their customers over a metaphorical barrel for years, with over-priced SMS messages chief amongst the methods that have seen our cellular providers take us to the cleaners on regular occasions. The SMS example is made even more galling when you take into consideration how little data is used by each message. But now there is an almighty fight back underway, with carriers finding themselves increasingly cut out of the whole messaging system, where third parties are basically bypassing the SMS money pit using the carriers’ own data networks against them. The fight back is being led by the likes if RIM with its BlackBerry Messenger, or BBM as all the cool kids are calling it. By using data networks to send instant messages between BlackBerry users, RIM bypassed the carriers in a way that saw SMS all-but made obsolete. Now Apple is very much in the same game, with iMessage following much the same playbook – sorry, that was a pun I couldn’t avoid – as RIM. iMessage is available on all iOS devices, making it a true SMS replacement so long as all your friends have iOS devices which, let’s be honest, they probably do. Apple is on the verge of dropping the other shoe. 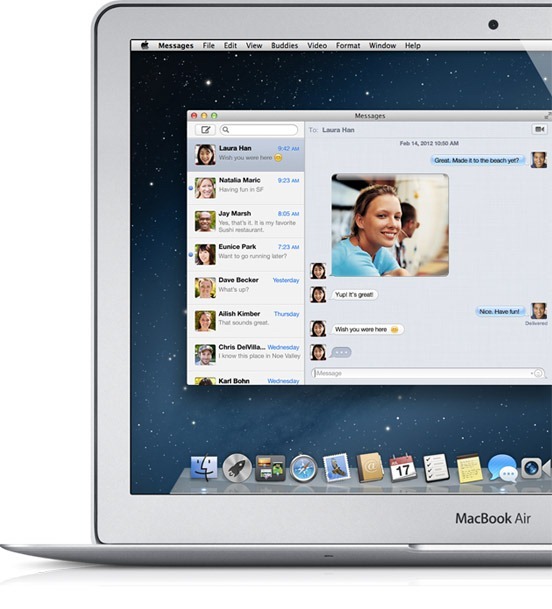 When the latest version of [Mac] OS X, due for release during the summer of 2012, Apple will make iMessage a part of the desktop experience. By offering something that not even the incumbent SMS can offer and something beyond existing technology like BBM, iMessage offers something that isn’t yet available unless you resort to Gtalk, AIM or another chat protocol that requires another third party app and that’s ubiquitous instant messaging. Start a conversation on your iPhone, continue it on your Mac when you return home. Head up to bed and take your iPad? No problem, your iMessages go with you. It’s seamless, or at least it will be once a few bugs have been worked out of the current beta software, and it means that SMS is getting left behind in the technology stakes. By making iMessage offer something that gives users a real reason to switch it on, Apple has given those same users another reason to step away from SMS. Throw in Skype for calls and FaceTime for video chats, and carriers will soon be boiled down to what they should have been all along – dumb pipes. I’ve been using OS X 10.8 Mountain Lion for a few days now, and I’ll be putting it through its paces over the next week or so too. Keep it here for my thoughts on the major changes and new features after some more testing later in the week. Teaser: It’s looking pretty darn good!